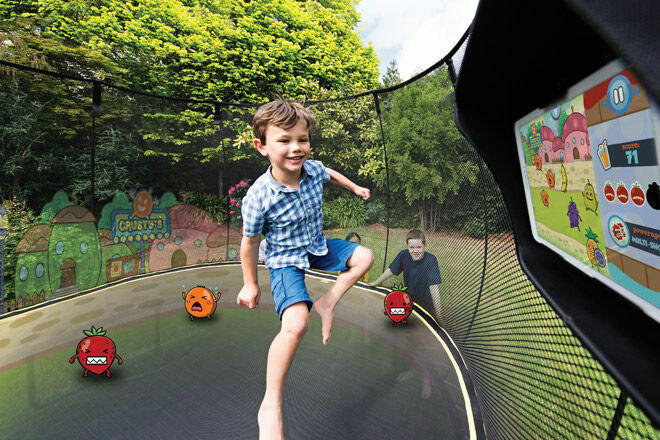 Kids are full of beans and trampolines are a brilliant way to get those beans bouncing! 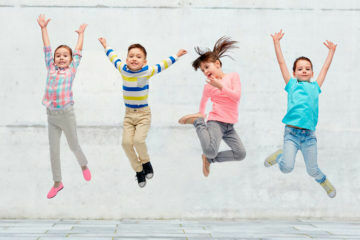 Whether they’re doing mini-jumps or mega boinnngggs, Springfree Trampolines are a safe and fun way to burn off kiddo’s energy and take their b-b-b-bounce into the backyard. Now the fun factor has been given an extra boost, thanks to tgoma. 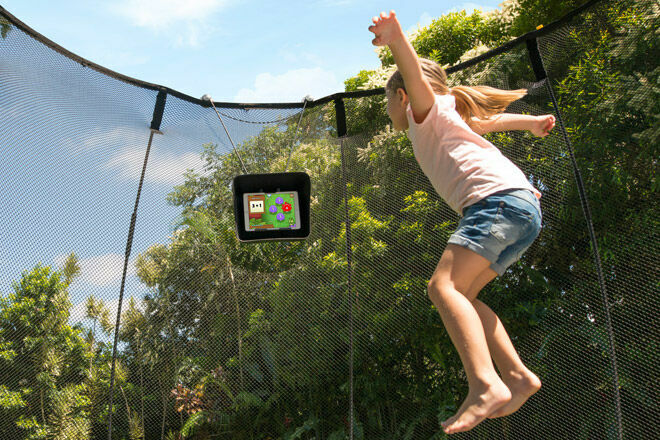 tgoma stands for ‘Take Gaming Outside and Make it Active’ and this new technology turns your Springfree Trampoline into the world’s first outdoor, interactive digital gaming system on a trampoline. 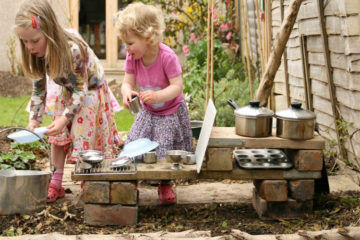 Outdoor play, plus mobile gaming? Count us in! Mum’s Grapevine was lucky enough to jump-test this exciting new system. With a four-year-old tester in tow, we sprung into the world of tgoma. 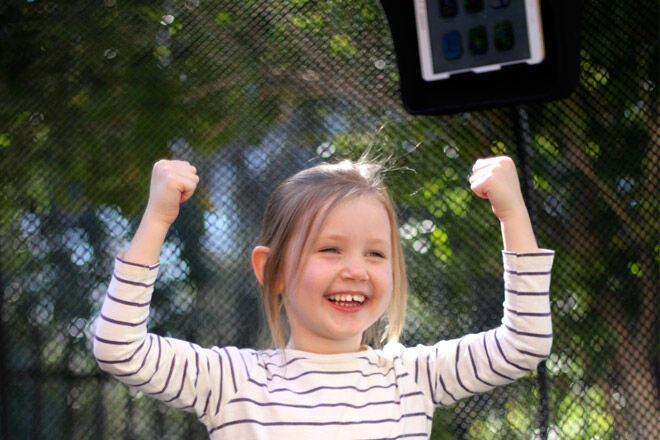 To experience trampoline gaming, you need the tgoma system, an Apple or Android tablet and a Springfree Trampoline. 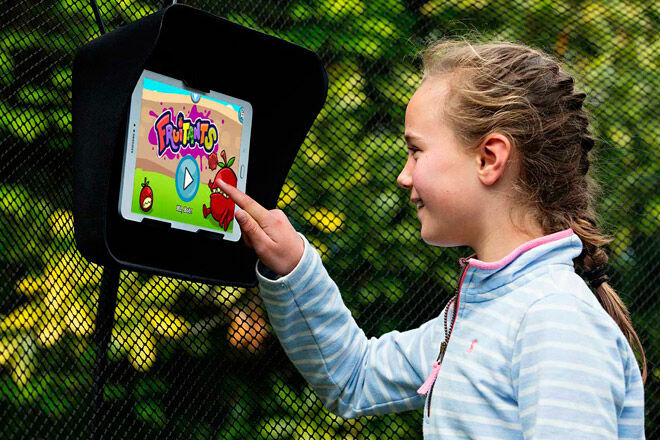 Download tgoma games from iTunes or Google Play, create a family account, then head outside to hang your tablet (in a tgoma harness) on the trampoline. 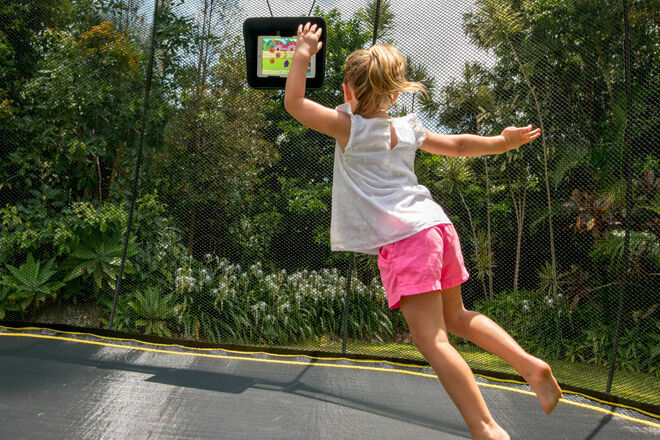 The genius of tgoma is that the games on your tablet know where you are on the trampoline. Using in-built sensors in the mat and the magic of Bluetooth, tgoma can tell if you’ve jumped in the right spot to score points. Let the games begin! In terms of age, tgoma is great for ages 4+. As long as kiddo can reach the tablet and follow the simple touch-screen choices, they’re good to go. Our tester picked up the controls in the time it takes to squash five tgoma strawberries! The Alien Stomp game is a bit like Whack A Mole, except that kiddo is stomping on aliens; Math Hopper is a brilliant way to introduce little ones to Maths; and preschoolers will also love Whatzat? (jumping reveals cute critters) and Stickers (bouncing makes on-screen stickers). For mums, tgomaFit serves up entertaining exercises and workouts (if your pelvic floor can handle them!). And because tgoma is open source code (tech alert!) any developers can write games for the system. So expect more titles to spring up. 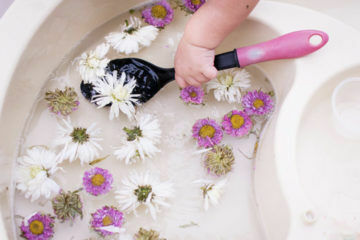 Outdoor play: The whole idea of tgoma is to get the family outside and make screen-time active and outdoorsy. We’re down with that! 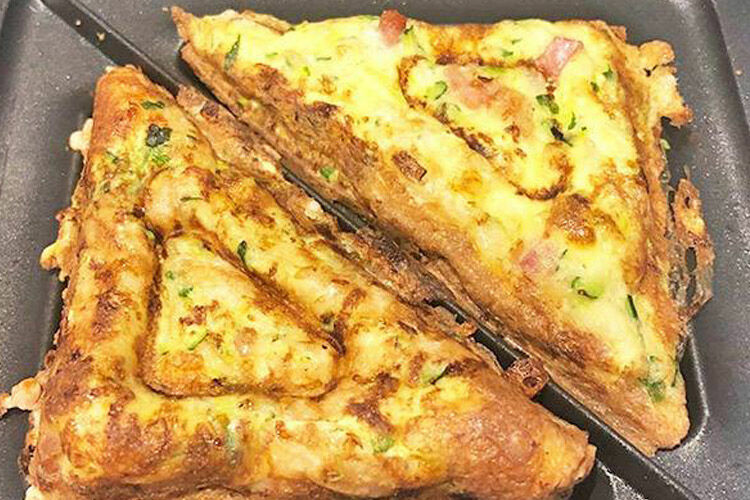 It’s really fun: We love trampolining, but tgoma takes things up a notch. The games are great and it’s fun to try and beat your personal best (or sibling’s PB). 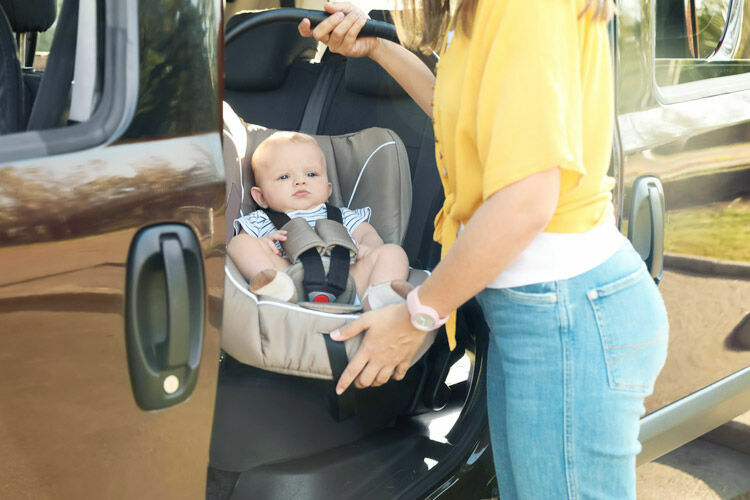 Our tester says, “it’s funny, fun and really bouncy!”. It works the body: Trampolining make you feel like a mum on the Moon (what’s gravity?) and it’s fab for fitness. 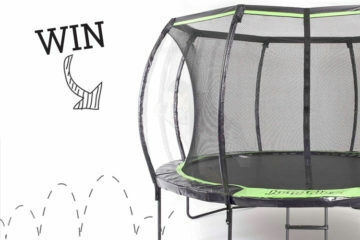 Apparently, 10 minutes of active exercise on a trampoline is equivalent to a 30 minute jog, so get thee to a Springfree! It boosts the brain: tgoma is the ultimate in ‘exer-learning’. 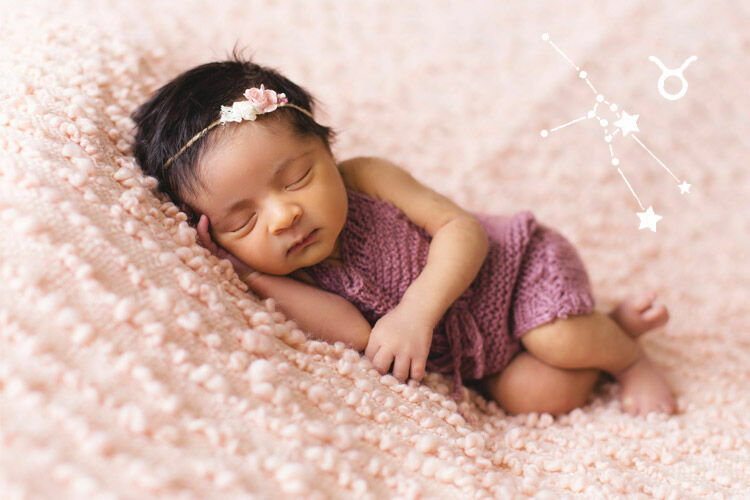 It works out brain skills, like problem-solving and coordination, and our tester loved Math Hopper (with stars to count and solutions to jump on!). It’s positive: If kiddo gets an answer wrong, there’s no big, red cross telling them they’ve messed up. Instead, tgoma just tells them to try again and celebrates their successes. 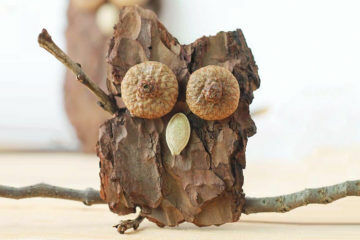 Awww warm fuzzies! 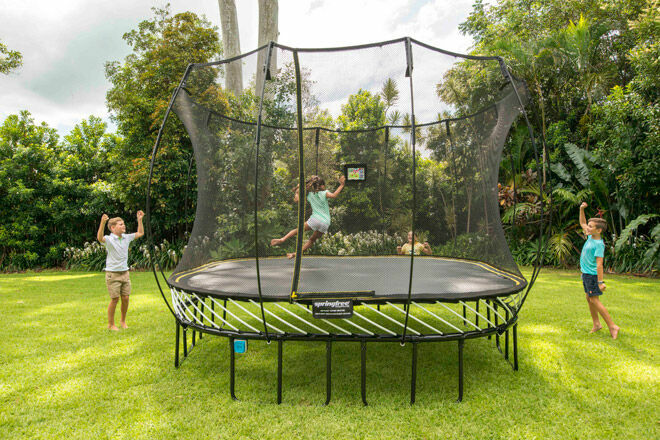 tgoma can be installed in your new Springfree Trampoline or retro-fitted to the Springfree already in your garden. You can install it yourself or get a free Springfree installation in most major cities. tgoma is only retro-fittable on current model trampolines. 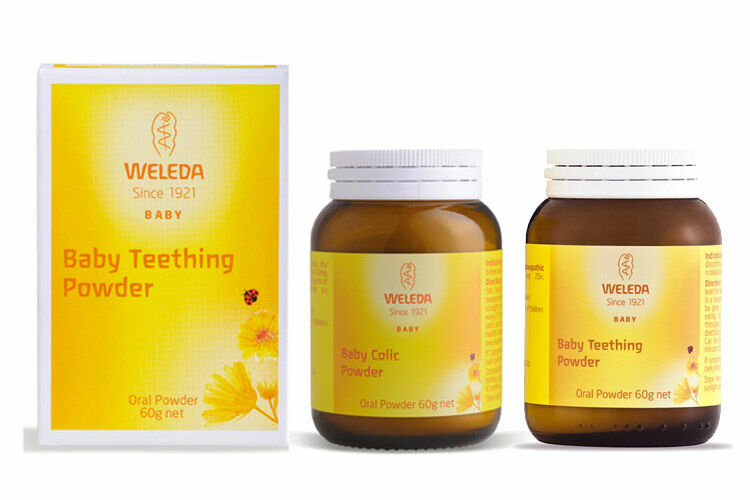 Pre-order now for October 2016 delivery (12 months interest free finance available). Ok Mum, that’s just enough time to perfect your Stepping Bounce-Squat Jump combo!